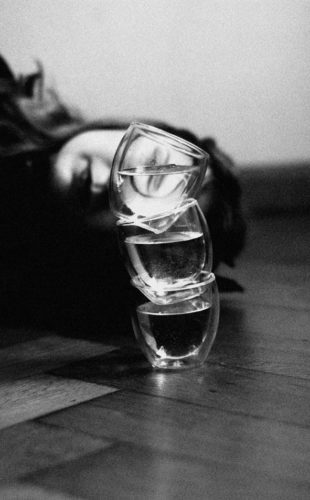 Nadja Ellinger is a 25 year old Photograher and Artist based in London and Munich. Purchasing her first camera at the age of 18, photography since then has become her true companion. In 2013 Nadja decided to pursue a formal education in photography and design at the University of Applied Science in Munich. Where she started working on series like “But a mermaid has no tears” or “Ueber die Zerbrechlichkeit”, exploring human psyche and the subject of fragility from the perspectiveof her lens. 2018 she began to study fine art photography at the Royal College of Arts in London. I use photography to visualize my inner feelings, fears and thoughts to gain a better understanding of myself and my relationship to my environment. The last three years, I’ve been engaged with the topic of fairy tales. They offer a wide spectrum to communicate about inner processes. Based on the dream interpretation of Freud and with the modern findings after Bettelheim and Kast, I created fantasy worlds that appeal to the viewer in a personal and direct way. Through the overdetermination of the symbolism, it is possible to reach the viewer in different ways and thus make the story personally experienceable. The outbreak of the immediate political and social context enables a space free of prejudice, in which one can fantasize and experience without constraints. Based on this I’m currently exploring the human psyche through my lense, trying to understand what defines us or how we define ourself. What interests me the most about identity is their downsides: what are our weaknesses, how is our handling of them, how bad is this weakness part of us? My main aim is to show that weakness does not have to be something negative, but something that may make us insecure, but also open and human.